The Alfa Romeo line-up representing the utmost in sportiness and beauty are there with the drivers: Giulietta Veloce, Giulia Quadrifoglio and Stelvio Quadrifoglio are present for a day on the Balocco proving grounds ahead of what is gearing up to be an extremely exciting racing seasonThe drivers of the “Alfa Romeo Racing” Formula One team experienced a day steeped in the Alfa Romeo brand ethos at the famous Balocco Proving Ground, the FCA group's iconic testing complex. It was here, at the famous Autodelta site, that the very first Alfa Romeo models were assembled. Since then, its sporting legend has been a string of victories and top-three finishes in many international championships, including Formula One. The brand won the very first edition of the Grand Prix championship in 1950, with Nino Farina driving an Alfa Romeo158. And the following year, Juan Manuel Fangio repeated this Formula One season victory in an Alfa Romeo 159. Max Verstappen grab final place on the podium with brand new power unit Honda, Ferrari driver Sebastian Vettel and new team-mate Charles Leclerc set fourth and fifth respectively, both are struggled with tyre degradation. Kevin Magnussen finished on the sixth ahead Renault’s Nico Hulkenberg and Kimi Raikkonen, who is leading for Alfa Romeo. Racing Point F1 driver Lance Stroll set ninth place and Daniil Kvyat grab final points for Toro Rosso, who made return to Formula 1 after two-season break. 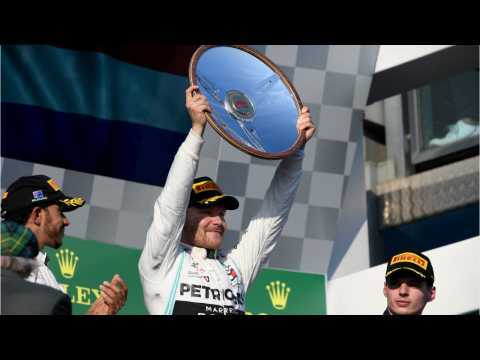 2019 Australian Grand Prix quick facts • Mercedes speedy Valtteri Bottas made his fourth F1 wins and the first time since November 2017, after 22 races gap. Since its founding in Milan, Italy, in 1910, Alfa Romeo has designed and crafted some of the most stylish and exclusive cars in automotive history. That tradition lives on today as Alfa Romeo continues to take a unique and innovative approach to designing automobiles.In every Alfa Romeo, technology and passion converge to produce a true work of art - every detail essential, every design the perfect harmony between beauty and purpose, engineering and emotion. Fully reviving Alfa Romeo's spirit and maximizing its global appeal has been one of FCA's priorities. Following a clear and well-defined strategy, Alfa Romeo is writing a new chapter in its more than century-long history that represents an extraordinary opportunity to realize the brand's full potential. Today, Alfa Romeo is a true showcase of the Group's best resources, talent and technological know-how. First with the Giulia, and more recently with the Stelvio, Alfa Romeo has created two models that capture the pure and original spirit of the brand - that instantly recognizable thoroughbred character. These models are testament to Alfa Romeo's La meccanica delle emozioni spirit and quintessential examples of what people have come to expect from this prestigious brand. Alfa Romeo is winning the hearts of a new generation and retaking its rightful position as one of the world's most desired premium brands. It is, once again, one of the leading symbols of Italian engineering and style, an icon of Italy's technological excellence and creative spirit. After more than 30 years of absence from Formula One, the brand announced its return to the sport in 2018 as Title Sponsor of the Sauber F1 Team. Racing website ThisIsF1 is reporting that Charles Leclerc is headed to Ferrari. According to La Gazzetta dello Sport, Ferrari’s Sergio Marchionne has confirmed the move. The impressive 20-year-old rookie will replace Kimi Raikkonen. The switch from Sauber to Ferrari is not too much of a surprise, however. Leclerc was already a member of the Ferrari driver academy. “It’s nice to see such a talented young driver developing so well.” Liberty Media F1 chief Ross Brawn said. There are two birthdays to celebrate at FCA in Geneva. For the 120th anniversary of Fiat, the brand shows the Concept Centoventi. And Abarth also has an anniversary model with the Abarth 595 esseesse. Alfa Romeo, on the other hand, surprises with the concept Alfa Romeo Tonale. And Jeep is now offering Plug-In Hybrid models of the Renegade and Compass.